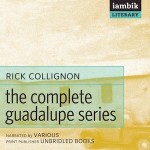 Love audiobooks? Here’s a chance to hear them free. Love audiobooks? Want a chance to feed your addiction for free? Iambik is looking for new proof-listeners. If you enjoy listening to audiobooks and would like the ‘job’ (don’t expect to get rich; most books are proof-listened on a volunteering basis. 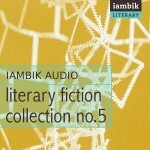 We do show our appreciation with all the free Iambik audiobooks you can stand). Please write to production@iambik.com. We prefer people with proof-listening experience but we’re happy to train novices if you’re interested. Spread the word! I’m disabled and listen to audiobooks an average of 8 hours a day. I wanted to proof-listen for Librivox, but they seem to have more than they need. But I have done a lot of proof-reading for Distributed Proofreaders. Lisa, being a part of Librivox I can tell you that we can always use more proof listeners. We have a few that are really taking on a lot of projects and are at times getting overwhelmed but they know we need the help. If you still want to help there too, you will be welcome with open arms.